Cuban Roots/Bronx Stories highlights the historical journey of an Afro-Cuban family, from Jamaica, to Cuba, to the Bronx, revealing that the Cuban-American experience is more diverse, racially and ideologically, than we are often led to believe. Diana, Ruben, and Pablo reveal stories of growing political awareness, overcoming the dangers of the streets, and coming into their own as Afro-Latinos. The protagonists experienced firsthand some of the great historical events of the 20th century – they saw Castro’s arrival in Havana and survived the US bombardment of their neighborhood during the Bay of Pigs invasion; one son fought in Vietnam and a daughter marched against it. Both working-class and professional, black and Latino, Spanish-speaking and English-speaking, the family is shown in the constant process of negotiating its identity. On their arrival in Miami, the family immediately encountered racial segregation, and as children in a mixed Puerto Rican/African-American neighborhood in the Bronx, they were forced by their playmates to choose their identity: “Are you black or Spanish?” Even the family’s roots in Cuba are complex - the father was the son of Jamaican immigrants to Cuba – and their relation to the Cuban Revolution is varied. The film explores the various experiences that each family member had in dealing with the realities of life as black Cuban-Americans in the Bronx. One son, stuck between his family and the code of the streets, became a drug addict before he found religion. Another became a Physician Assistant, but his curiosity about his roots brings him back to a Havana very different from the one where he lived, and where he discovers he doesn’t completely fit in. The experiences of this one family speak to the larger issues of immigration, race, class, and diaspora that help to shape the identities and political consciousness of everyday people. 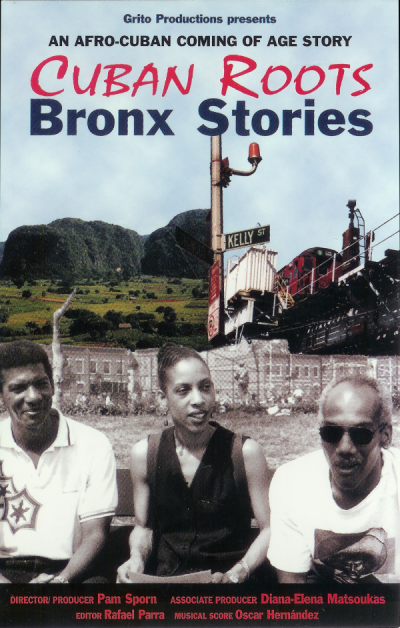 Cuban Roots/Bronx Stories was completed with funding from Latino Public Broadcasting. Additional funding was received from the African-American Research Foundation, State University of New York at Albany. "…we are witnesses to unique anecdotes because almost all other documentaries about Cuban immigration to the United States are about white Cubans who settled in Miami. Cuban Roots/Bronx Stories tells the story of black Cubans who participated in events in the United States like the Vietnam War. Pamela Sporn has created her documentary in a straightforward style. She is conscious of having a little explored history in her hands and therefore gives center stage to her storytellers." "I got a chance to see Pam Sporn’s moving documentary Cuban Roots/Bronx Stories at the 22nd Festival del Nuevo Cine Latinoamericano in Havana in December 2000. From the first images of the breadfruit, the Cuban flag waving to the beat of the “son,” the Havana skyline rising behind the Malecón, and a family portrait, the director of the documentary prepares us for an impressionistic journey. We are filled with the nostalgia of a working class family of black Cubans who left Cuba in January of 1962, in the middle of the frenzied stampede caused by the US foreign policy. Throughout the documentary the director provides us with the context of US foreign and domestic policy, contrasting the viewpoints of each of the protagonists of the film with periods in contemporary North American history. Pam Sporn’s documentary leaves us with a lump in the throat, but at the same time the satisfaction of seeing, for the first time, the face of the black Cuban, who is still trapped in the conflicts of his/her Cuban identity, as if time had not moved." "An important documentary about one family's odyssey in overcoming migration, language difficulties, culture and personal tragedies, to settle in and prosper in the United States… [The film] tells the story of migration from an Afro-Cuban perspective, which is clearly at variance with the story of exile and nostalgia of white Cubans…"
“Where are you from?” is a typical question posed to Latinos in the United States. In the case of the Fosters the answer is complicated by multiple migrations---Africa, Jamaica, Cuba, New York--- and the major political and social events that marked their lives. Cuban Roots, Bronx Stories presents us with a historically contextualized and moving personal portrait of one family’s experiences, in which class, race, ethnicity and gender always play a role but result in different individual perspectives and choices. This film is an important and unique contribution to our understanding of Afro-Latino realities." "There’s great cinematography and wonderful portraits of a young Fidel Castro, depictions of the eastern Cuban countryside, and great stories of siblings who grew up in the ‘60s.  …A rich cinematic experience."